Karen is a Licensed Mental Health Counselor and Children’s Mental Health Specialist with over 15 years of experience working in community mental health and private practice. Her style as a therapist is compassionate, direct, non-judgmental, and solution focused. She draws from a variety of client centered therapeutic modalities including Narrative, Cognitive Behavioral, Developmental, Emotionally Focused, Transpersonal and Psychodynamic approaches, based on a family systems orientation. 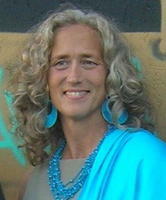 Karen currently works with adult and adolescent clients through individual and family therapy. Areas of specialty include the treatment of and/or support for PTSD and traumatic experiences including sexual abuse, mood and anxiety disorders, chronic medical conditions, grief and loss, adoption issues, LGBTQ, and life transition adjustment including mid-life, quarter life, adolescent launching, parenting adult children, and caring for aging parents. Karen also has experience with individuals who live with psychotic disorders, and collaborating and advocating with medication management. Karen’s role in counseling and therapy is to walk alongside you and assist you in uncovering and discovering what is true for you and the beliefs you hold about yourself that may or may not serve you well at this point in your life. Together we will look at the symptoms (often defined as problems) that are interfering with your life and your goals, and explore ways to manifest a more authentic and satisfying life that is consistent with your own unique psycho, social, physical and spiritual values. Karen received a Master of Arts degree in Psychology, Couple and Family Therapy from Antioch University in Seattle and a Bachelor of Science degree in Applied Physiology from Seattle Pacific University. Karen has lived in Bellingham most of her life and has two adult children. When she is not in the office she enjoys tending her primitive landscape, playing on the water, and seeking wild adventure on her motorcycle.